Magh Purnima, Significance of Maghi poornima, celebration of magha purnima, what to do on purnima of magh Month as per hindu panchang. Poornima is treated as very important day as per Hindu tradition. This day has great riligious significance and scientific importance too. Moon represent the mind, peace, coolness, spirituality etc. and so this night is also used for performing spiritual practices of different kind. On this day there is commond tradition to take holy bath in river, triveni sangam, tirth etc and then to perfom puja, Daan to please god and goddess. There is a also tradition of taking bath in holy river early in the morning from Push poornima to Maghi purnima to over come from many doshas. In Allahabad special mela/Fair held on this sacred day and is called Maghi Mela. It is a fact that bathing in holy river, sacred river, flowing river keeps us healthy and so there is also a tradition for the decades to take bath in rivers on Purnima. On Full Moon day the light of Moon is in full power as so we get full energy from Moon too. Moon is also called "Chandrama in Hindi". On Maghi purnima worship of Lord vishnu is also done by devotees, people also used to perform "Satyanarayan Katha" at home for peace and prosperity. At Govardhan where the world famous "Govardhan Parwat/hill" is present, people do the parikrama to attract the blessings of lord krishna. In Buddhism also maghi poornima is very important. Followers of Buddha also do chanting of mantra on this day and night. So we can say that this maghi purnima is celebrated by every one peacefully to perform the special practices for growth in every sector. There are many holy rivers and holy ponds in India like as Ganga, Yamuna, Narmada, Kaveri, kshipra, Lake of Pushkar etc where people take bath on auspicious days. It purifies the body and mind and energize the body to perform the daily tasks with freshness, power and perfectness. It is believed that God Vishnuji resides in river Ganga during Maghi Month and so if any one take bath in holy rivers then it is possible to over come from sins, diseases, different types of problems etc. What To Do On Maghi Poornima For Success? We all want success, we all want peace, prosperity, health, wealth in life and for this we perform different types of rituals, work etc whol the life. Here on this auspicious day of magh poornima also it is possible to perform speical rituals to attract the success in life. Get up early in the morning before sun rise and take holy bath in any river, holy pond. If it is not possible then do remember the sacred rivers ganga, yamuna, narmada in your bathing water and pray to bless you. Now take bath by remembering the holy rivers like as ganga, yamuna, kaveri, narmada etc. After taking bath do the worship of Lord vishnu, do panchopchar puja and also chant the mantra "Om Namo Bhagwate Vasudevay" as much as possible. If possible do take fast on this day. Also do daan of necessary items like food, cloths, cow, gold etc as per capacity to brahmins, beggars or needy persons. Pray for the success of you and your family. Whole the day keep yourself cool, sacred and motivated. So do enjoy and energize yourself for a better life on the auspicious day of maghi purnima. 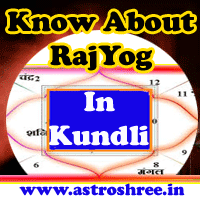 If you want any astrology guidance do consult astrologer astroshree, get analysis of your kundli, know the reasons of your problems, know the power points of your horsocope, know the best yantra, lucky gems stones for you.